Legends United: Looking for Scirea and 1982 Italia. (My first appearance on the podcast in March 2013). Alessandro Nesta: "I still have to adjust to American football." 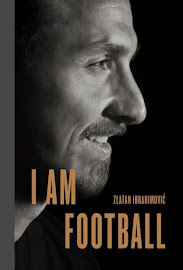 Translated Excerpts from "I Am Zlatan Ibrahimovic"
Pele: "Spain is the closest to Brazil 1970"
Andres Villas-Boas: "I'm Not the Clone of Anyone"